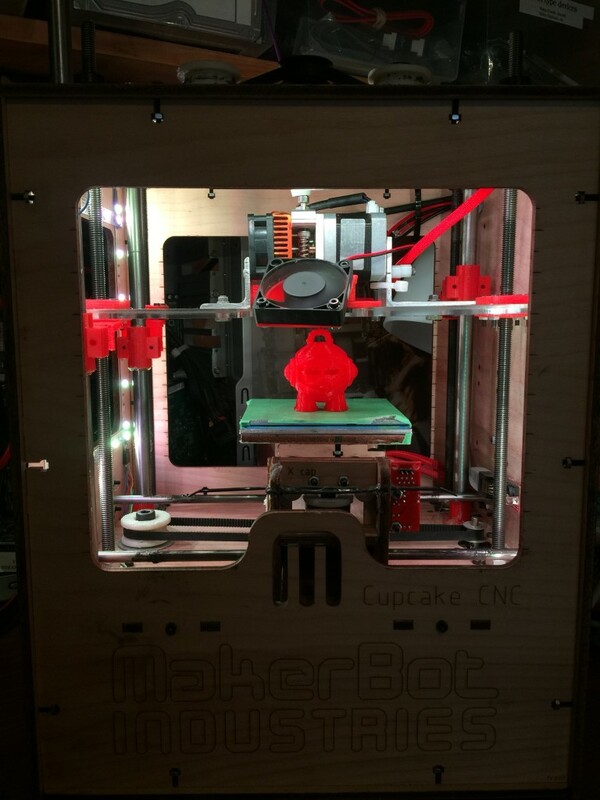 Cupcake155 is my first 3D printer. I bought the kit new, back in 2009; when home 3D printing was especially new. Mine is the 155th Makerbot. Originally it barely worked and I gave up on it entirely for years. It’s now a bit of a unique combination of parts and works reasonably well. It’s currently helping me bootstrap two new printers I’m working on. I adapted an MK8 Extruder, from here specifically.